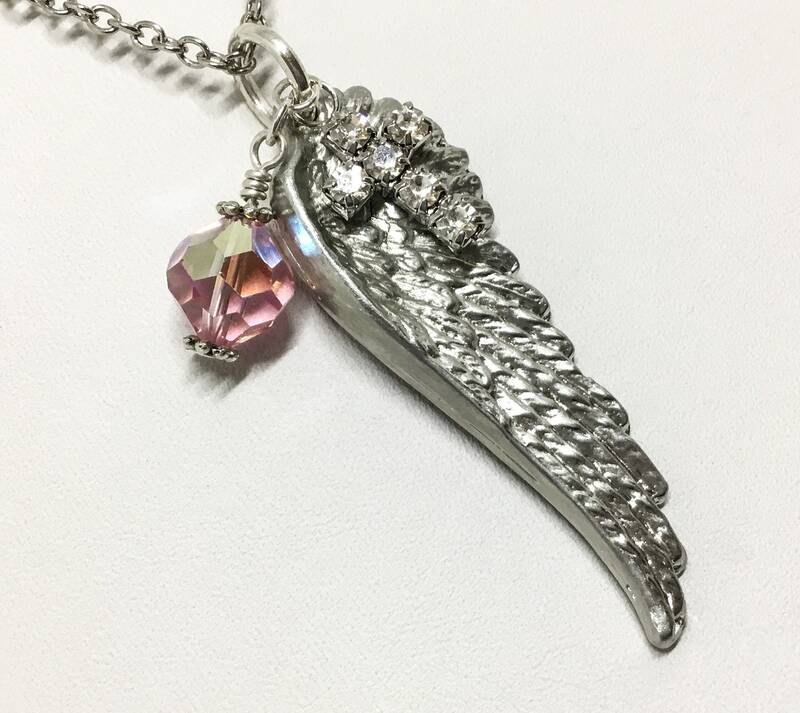 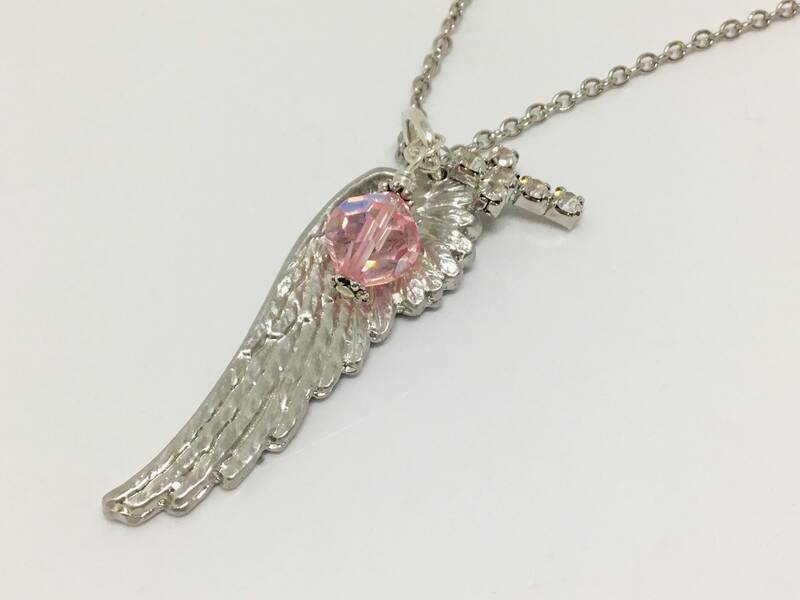 This is a heavenly angel wing necklace handcrafted by Steve in our own studio. 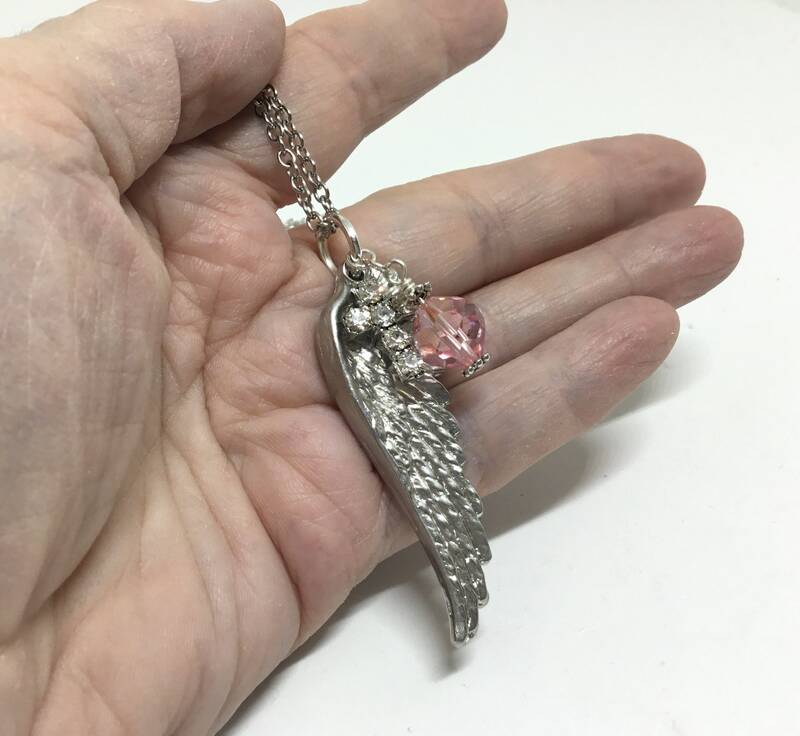 The wing is cast with Britannia Pewter (Jewelry grade pewter). 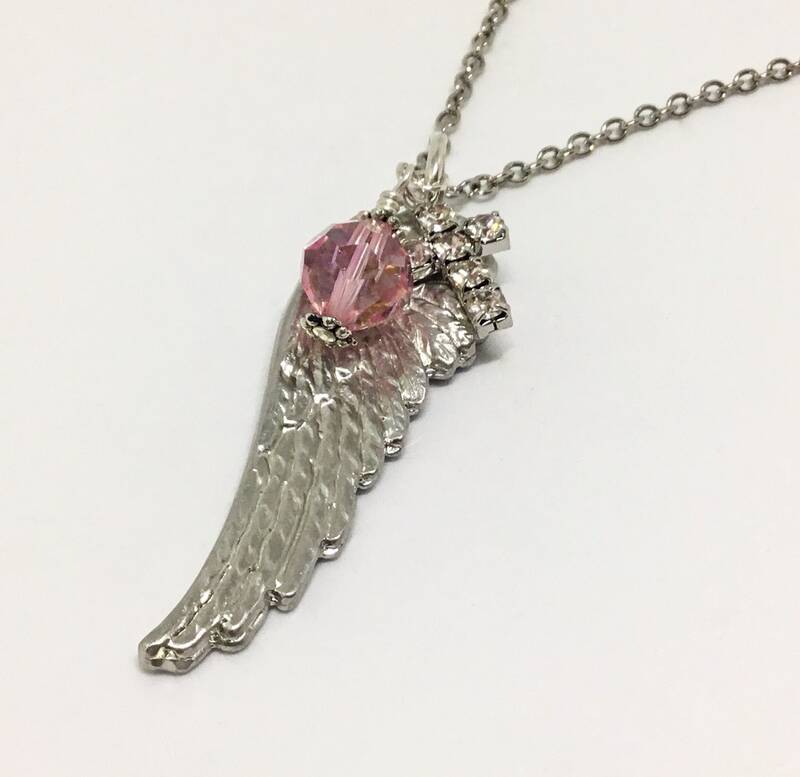 The detailed pewter wing is accented with a light rose Swarovski Crystal and a clear rhinestone cross. 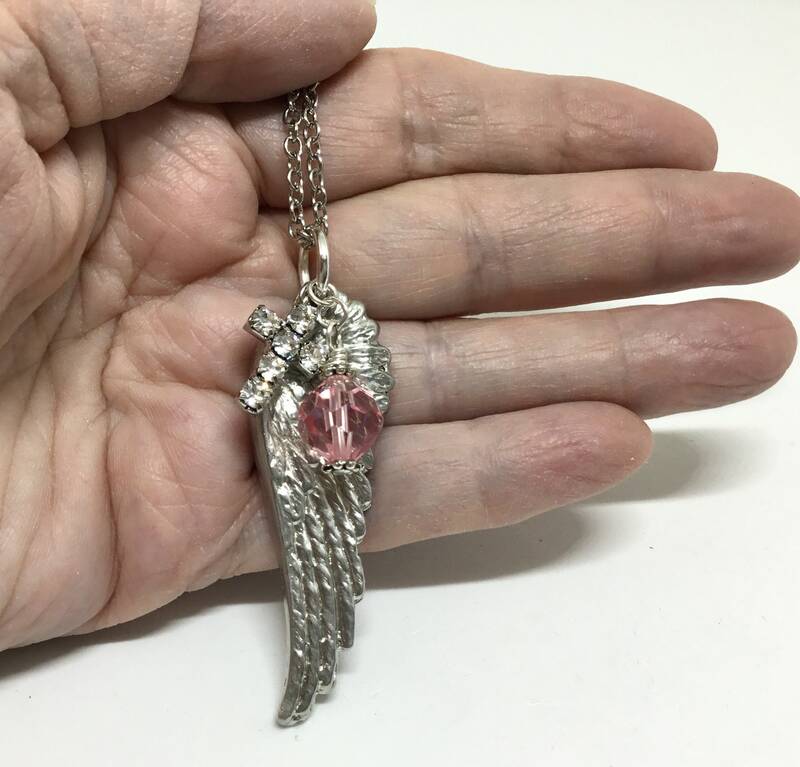 The silvertone chain is 18”. 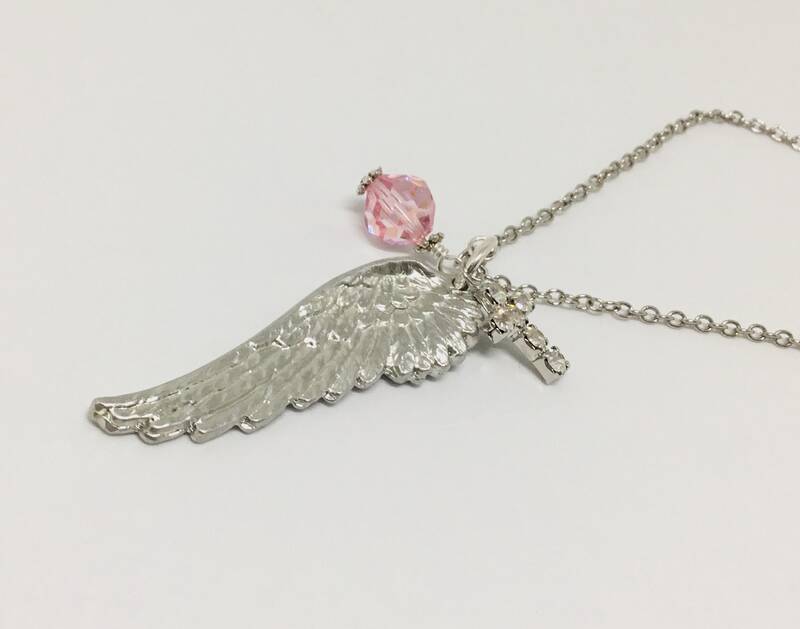 A special and sweet gift for a loved one or special friend. 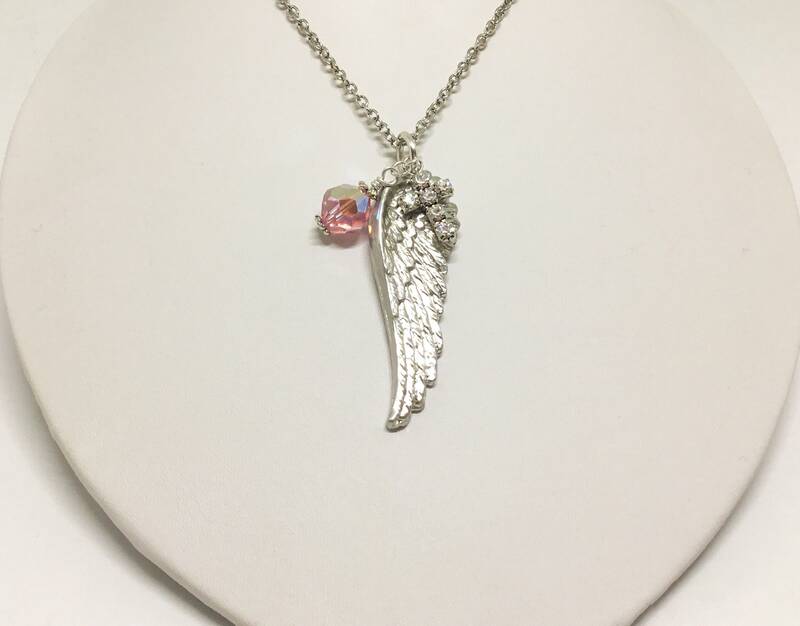 Wear it and look and feel wonderful for work or play!